(Bestbuy.ca) Best Buy is one of Canada’s top retail chains, specialising in personal computers, consumer electronics, home appliances and more. 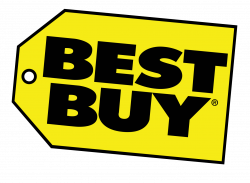 Sometimes, Best Buy offer promo codes for dollar discounts, or savings on specific items from their store, in addition to the online clearance sales. If you want to save by using a Best Buy promo code, always check this page before you shop online! Shop LG, Samsung, Sharp, Sony and more TVs from Best Buy now up to $500 off! You'll find amazing electronics deals in the Best Buy deals centre. Shop video games, drones, virtual reality, home audio, and so much more! Discover even more sales and offers on your favourite electronic brands from Best Buy Canada. No promo code is required for these offers, just shop the Best Buy clearance to save big. Play the most anticipated game this year when you buy from Best Buy Canada. Grab a new stand mixer or hand mixer from Best Buy Canada and get up to 40% off. Shop select Nintendo Switch consoles at Best Buy Canada and get a free $30 gift card. Enjoy free standard delivery at Best Buy when you spend $35 or more on electronics, gear, and more. Refurbished electronics are the way to go if you're looking for amazing Best Buy deals. Check out the Best Buy Canada outlet for the best deals on electronics. Shop TVs, headphones, games, and more now up to 40% off during the winter sale. Shop select Xbox One consoles now on sale at Best Buy Canada. Shop all Dyson products on sale at Best Buy Canada and get up to $100 off vacuums, heater/coolers and more.